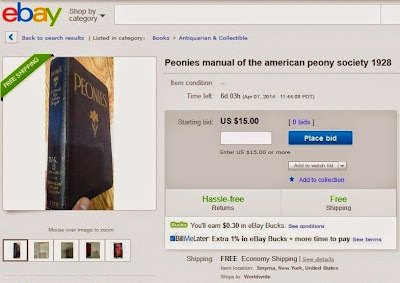 I got an email this morning about an Ebay auction listing for the Manual of the American Peony Society from 1928. I purchased a copy of the Manual of the American Peony Society First Edition for myself last year, and I'm almost done reading it. 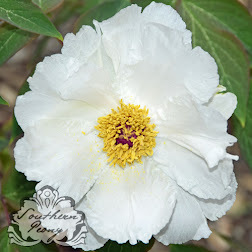 There are a few boring parts - like several long lists of plant names. I must admit I skipped those parts. 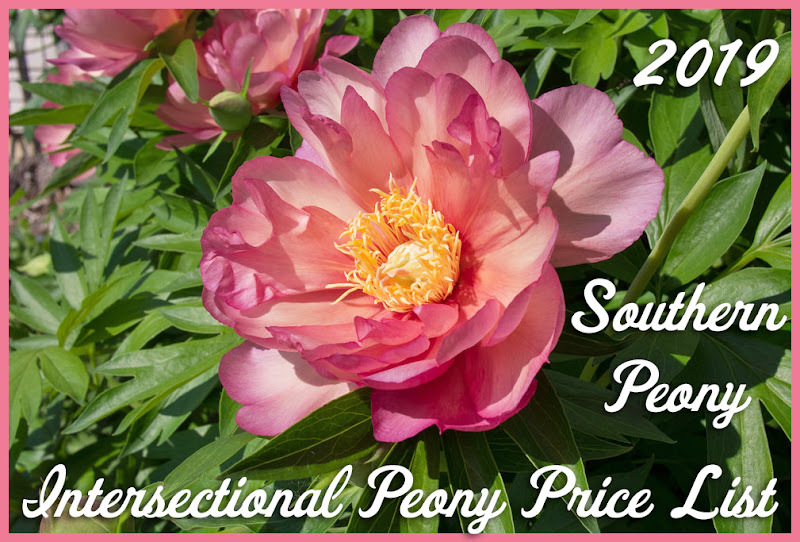 However there is quite a lot of interesting information on the history of peonies and the American Peony Society in the book. There are also several beautiful prints as well. The listing on Ebay has an opening bid of $15 with free shipping! This particular copy of the book was previously held in a library and appears to have some permanent ink on the spine that identified its location inside the library. Other than that it seems to be in good condition - better condition than my copy. I paid more than $30 for the copy I bought last year, and the binding is separately from the spine on my copy. So my copy is in quite sad shape. 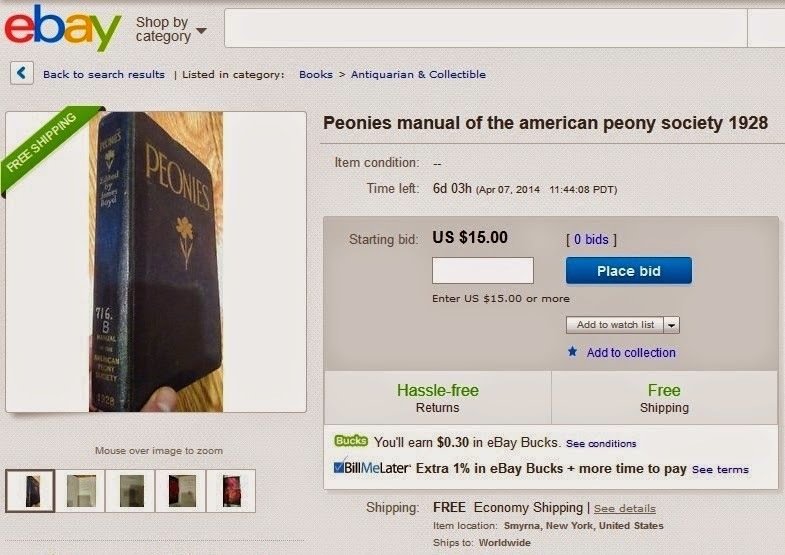 If you are looking to pick up a decent copy of the 1st Edition of the Manual of the American Peony Society, now may be an opportune time for you to place a bid on it. :-) Good luck!